Vacation rental cottage. Sleeps 6, 4 bedrooms, 1 bathroom. No pets allowed. Cozy living room for those cool summer nights. 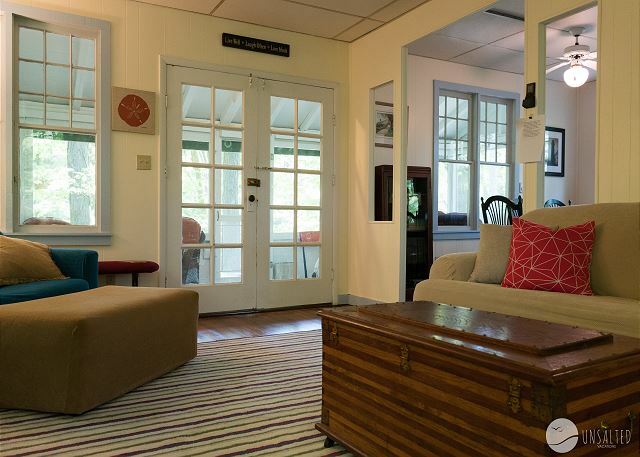 The living room is open to the front porch and dining room. 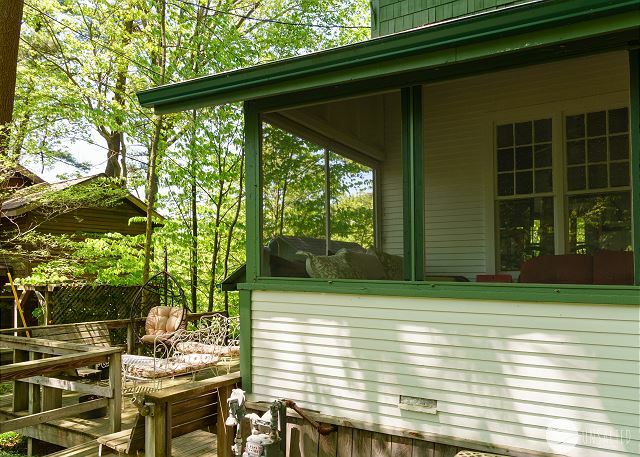 Spacious porch for catching the lake breeze and creating memories. 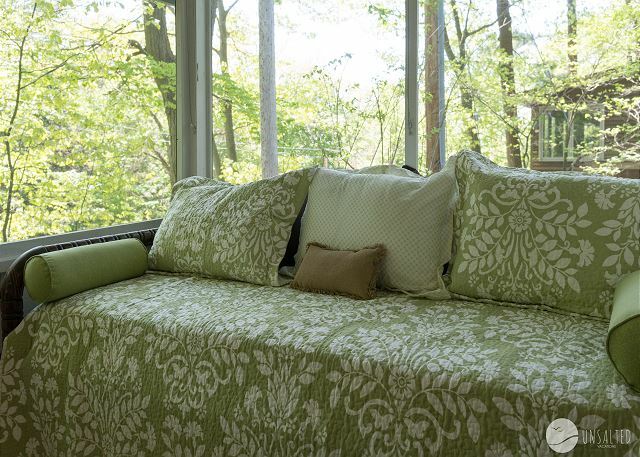 Daybed on the porch for an afternoon nap. Galley style kitchen with stove, refrigerator, and microwave. Fully stocked with pots and pans, dinnerware, and cookware. Dining room table with room for 6. Bedroom #1 with king bed. Bedroom #3 with twin over twin bunk. 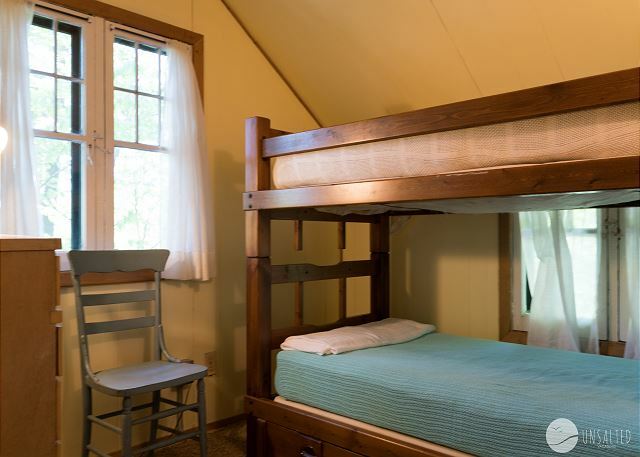 Bedroom #4 with a twin over twin bunk bed. Bathroom with claw-foot tub/shower combo. Small sitting area off of the main patio. This cottage is best of both worlds. Feel a world away from it all nestled high on a dune surrounded by beautiful tall trees in Highland Park, one of Grand Haven's most treasured historic neighborhoods. 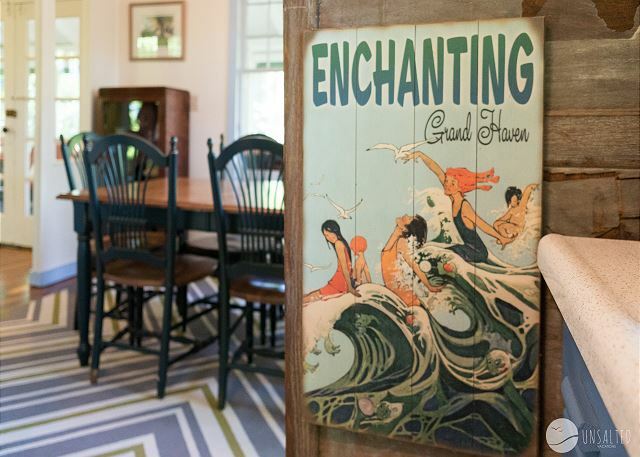 The neighborhood's charm is unparalleled, with a collection of turn-of-the-20th century cottages situated in the dunes and hollow, accessible by an intricate latticework of wooden boardwalks that wind through the dunes. 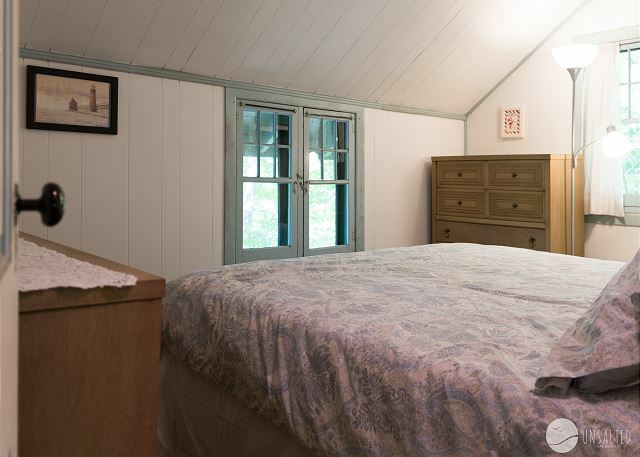 At the same time, this peaceful retreat is only 1,000 feet from the sugar sand beaches of Lake Michigan and minutes from Grand Haven's downtown attractions and dining. 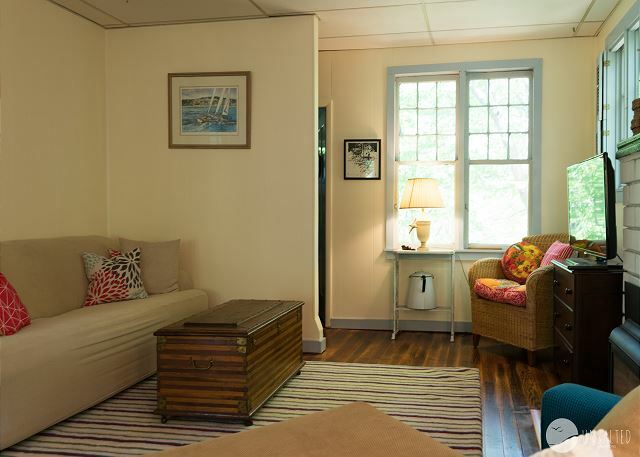 Indoors the cottage features 4 upstairs bedrooms, an open downstairs living area, 1 bathroom and in-home laundry. 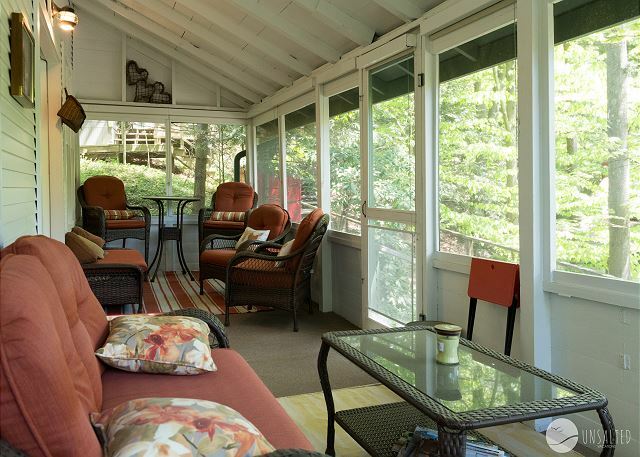 The screened-in porch and spacious deck have ample seating for all to enjoy the lake breezes. 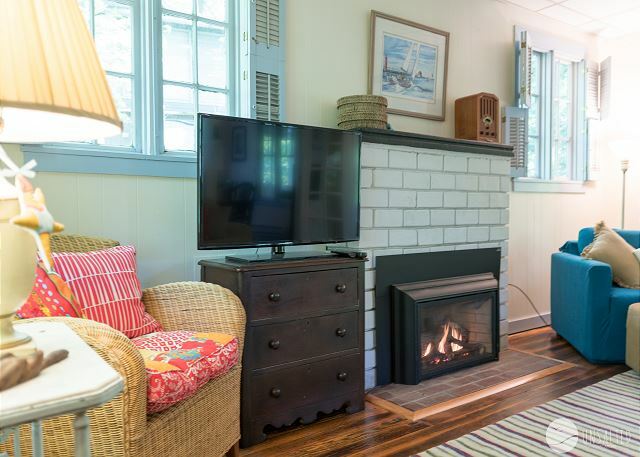 This cottage is also equipped with internet, cable that includes HBO. Never worry about where you will park with the cottage's two dedicated parking spaces. The cottage sleeps 6. All bed and bath linens are provided. WE had a great time. The couple things that we needed help with the care takers were ready and willing to come over and help. I would highly recommend this retreat. The only thing that is not mentioned in the description is that there are a lot of steps up to the property so be prepared. Cute, but needs a little work! 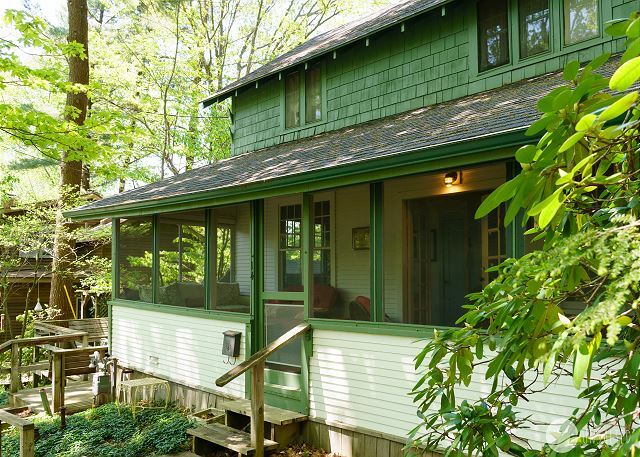 It’s a cute cottage, however we experience some issues that were bothersome. For example there was a serious infestation of ants in the kitchen, however we informed Unsalted right away and they helped us with laying out ant traps. Second, the bathroom floor feels extremely unstable, in spots it feels as if the wood beneath the linoleum floor will give way any moment. Lastly, as an FYI, information on the cottage stating their is a dishwasher is inaccurate. On a positive note, the cottage is cute. 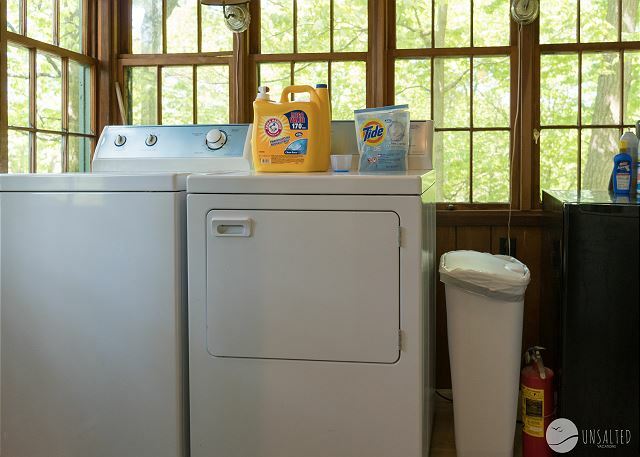 We enjoyed the cottage screened in porch, the washer and dryer was quite helpful. The cottage was comfortable, if they can fix the issues stated above, I’d rent it again. Hi Patrick - thank you for this feedback.. We are happy that despite some concerns with the property, you had a good vacation and enjoyed some time away. Please keep us in mind in the future. This was a wonderful place to stay in Grand Haven. Close to the beach and a neat place on a dune. Very close to downtown Grand Haven and the cottage had everything we could have ever wanted. Very nice and we would stay here again! Kid friendly and fun! Hi David - thank you for taking the time to review your stay at Duneside Retreat. It is a great place in a great location and so glad you got to enjoy it, please come see us again. Thank you Patrick, so glad to hear you enjoyed your stay at Duneside Retreat! This property surpassed all expectations for my family.